Some small business owners may think of asking for referrals is a bit tacky – it’s not. You just have to do it the right way. If you have satisfied clients, they will want to share their great experience with your product or service. You just have to remind them of this. It is not usually in the top of mind of happy clients to immediately convince family and friends to try your product or service. If you are confident that you have provided good products or services, you can ask your existing clients for referrals in a polite and professional way. Don’t be discouraged if you will not get any right away. Clients who will not refer others to you don’t mean they don’t like your business. 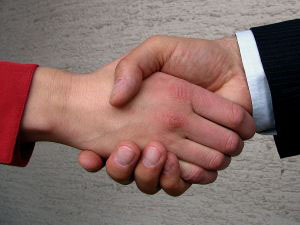 Don’t ask for referrals right after you close the deal. Follow up first how they are enjoying your product or service. Let your clients fully appreciate your service before asking for referrals. You can also offer a rewards program to those who will refer new clients. For example, every 10 referrals, you client would get a discount or a freebie. You can also use those lines on all your marketing materials: website, blog, calling card, etc. You can also put up a small sign or a tent card by your cash register, beside the door for the customer to see before leaving the store, etc.